No workout programme would be complete without strength training. Weight training helps to maintain your muscular strength and endurance, boost your metabolism, strengthen your bones, improves mood in people suffering from depression and helps to get better sleep. Our weight training programme is designed in such a way that all age group can do and enjoy. - From free weights to static weights, our range of equipment is strong. - Whether you’re looking for dumbbells & kettlebells or a chest press or leg curl machine, our clubs are a one-stop source for muscle building. Natural Spark will help you to result oriented weight loss programmes. with the help of meal planning, balanced Nutrition, and healthy active lifestyle, Natural Spark help you to loose your body fat per month. 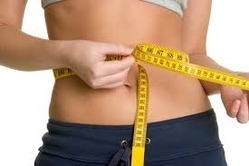 and then at Ideal Weight, help you to maintain it your life! Weight training is a common type of strength training for developing the strength and size of skeletal muscles. It utilizes the force of gravity in the form of weighted bars, dumbbells or weight stacks. Ascendant Learning Centre Pvt Ltd. It includes all facilities of general fitness plan plus regular diet counselling from professional diet counsellor, daily diarymaintenance of eating habits, Daily weight recorded in personal file, personal attention for weight loss members. We have Professional Trainers to help you build your motivation and confidence in the gym, great facilities to mix up your workouts, Group Fitness classes to add some verity and our Body Shaping Studio to target those stubborn areas, tummy, hips and thighs.